The theme for this challenge is simply Night. Yesterday was St. Martin’s Day, which in some countries signifies the beginning of winter. The nights are getting longer in much of the world, but that doesn’t mean we can’t take interesting photos. The Night theme is broad: just make sure your photo looks like it was taken at night. You can interpret what looks like night as broadly as you wish! A brightly lit interior, a dark landscape, an urban setting: all are valid. Entries should be taken during the period of the challenge, which runs from now until the end of 12 December 2012, French time. Keep the Photoshop wizardry to a minimum so everyone can compete on even terms. Black and white photos are fine. 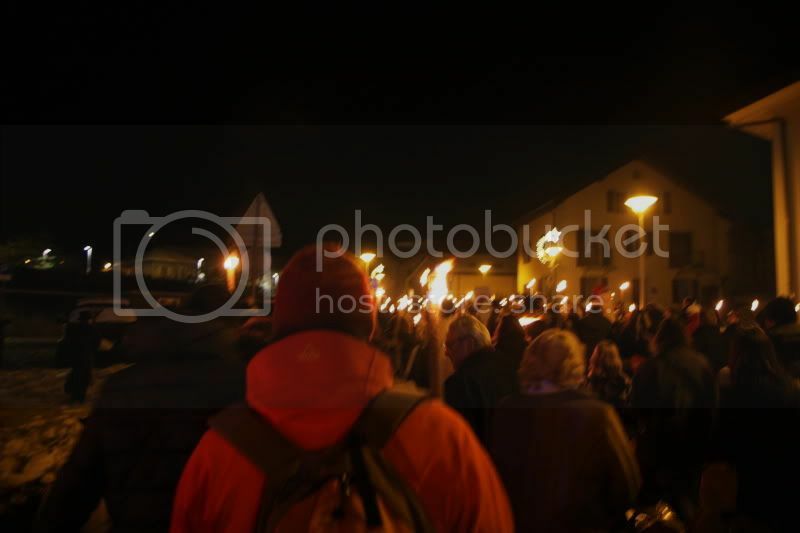 We marched, with torches, to the town hall/middle school, to celebrate for hours with four-village locals; kids dress up, sing and play, and adults, errr, do adult things, like drink and be merry. Everybody turns up; I guess there were around a thousand. It was cold and there was snow and it was night. Oh my. I completely forgot about this challenge! So sorry Dorian, maybe let's let this one go until Jan? Yikes, never even saw this thread. 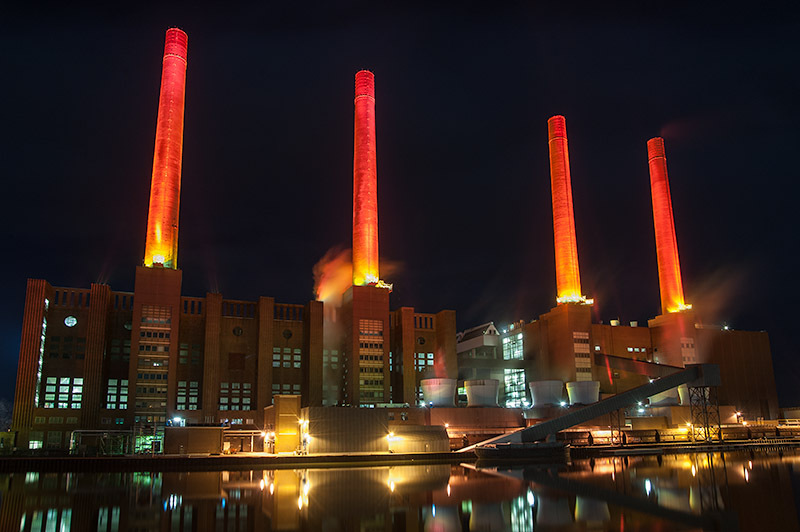 The chimneys of the old powerstation of the Volkswagen plant in Wolfsburg are used as advent candles each year. A HDR version of this shot is on my flickr page. I'm planning on taking my shot tonight. Nice one GS. I intend to take mine the night of Jan 1 or 2. Here is my entry, with a holiday theme to boot. Any more? Tonight’s your last full night! I will take it and post it tonight, Ottawa time. No ghosts here really. The location of the pic is the side of the arena where my son's hockey team play their home games. Go Ottawa Centre Panther-Snipers! (Undefeated so far this year in the Atom C Division!). It was -23℃ when I took this picture. Thanks to my daughter Charlotte for accompanying me on the cold expedition to get the shot. Seven and a half hours remain for any stragglers to shoot and/or process photos for entry. Thanks for the entries, all. I like AWR’s story and photo, though I’d personally prefer a bit more sharpness or a bit less (to make it look more deliberate). And since I’m judge this time, that matters! I do appreciate it’s very hard to shoot people in the dark. GSpotter’s photo is characteristically excellent, with the long exposure blurring the moving smoke/mist nicely. 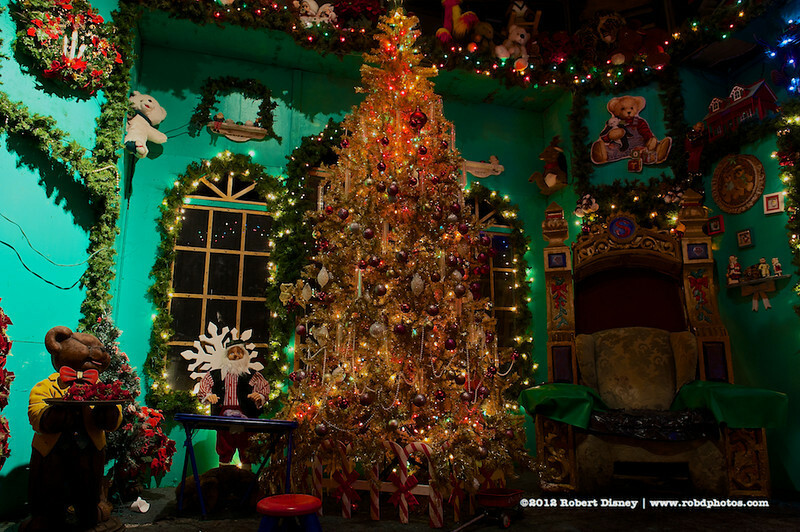 It looks great, but I’m deducting points (unfairly) for having seen the subject from him before (maybe last year? The year before? Can’t remember). Could I commission a series of five photos as the ‘candles’ are lit next year? Chinney’s shot looks as cold as it was. 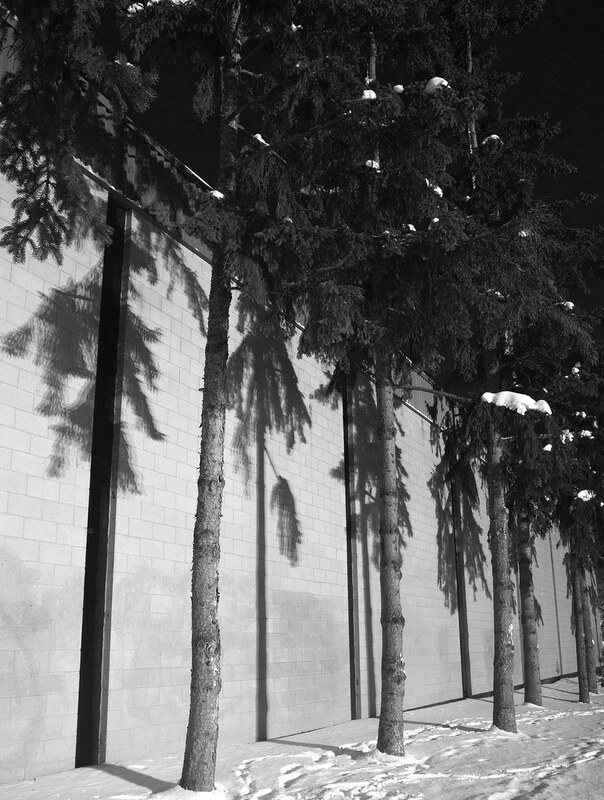 I like the snow and strong verticals created by the trees and their shadows. Black and white was the right choice. But I’m going to give the win to PB PM. 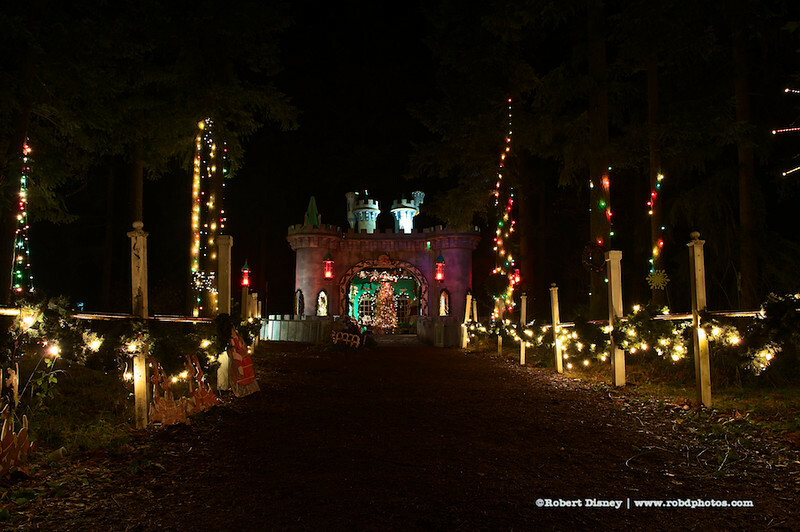 The Christmas decorations are so over-the-top they’re almost eerie, but they certainly grab my attention (is that a throne for Santa?). The baroque detail is accentuated by the hard light, but since large parts are in shadow and the windows are dark, it’s clearly nighttime. I like it. Over to you, PB PM. 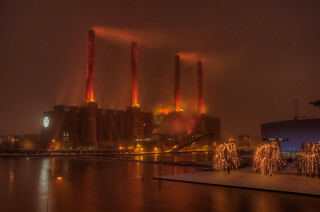 It was already in 2009 (my first winter in Wolfsburg). At that time the weather was much worse (snowing like crazy), so I decided to redo this picture. Good one, PB. Thanks, DG. Caught out. Me too, but I was barely paying attention! Anyway, deliberate can be overvalued. Anyway, deliberate can be overvalued. Yes, I often think so when I miss the focus a bit in my own photos. Thanks for reminding me how long ago you took that photo, GSpotter. Doesn’t feel like three years ago! Yeah, what plonker advised you to buy that 40D? I have a process server hunting him down! He/she has already tagged (mistakenly) several young gentlemen based on the colors of their striped socks.